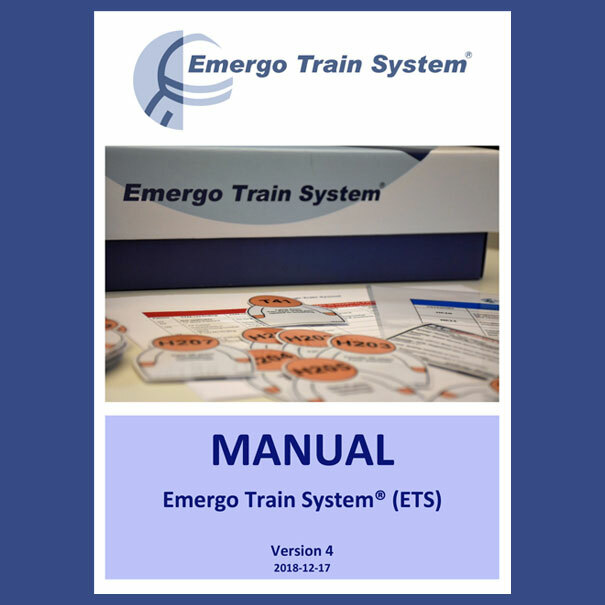 The Emergo Train System Burn victim bank consists of patients with various degree of burn injuries and is developed for the purpose of running simulation exercises were the scenario results in a number of patients with burn injuries. 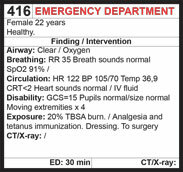 The patient has text on both the front and back side. 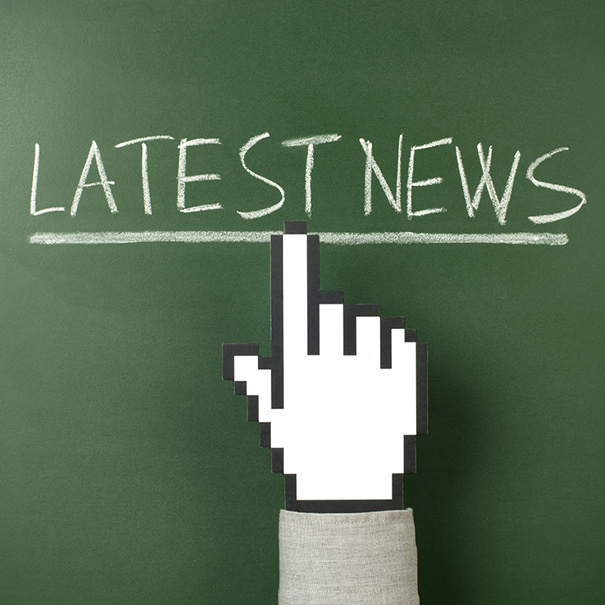 On the front side is information that you can see or hear from a distance. 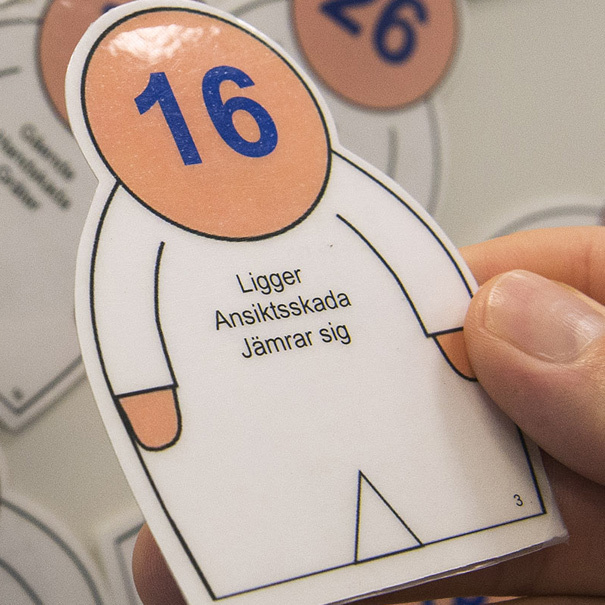 On the back is information that you discover after examining the patient. This text is in accordance with the ATLS®/PHTLS®/TNCC® program; A=Airway, B=Breathing, C=Circulation, D=Disability, and E=Exposure. All patients in the burn victim bank have an individual management card. The card is used when they arrive in the hospital. 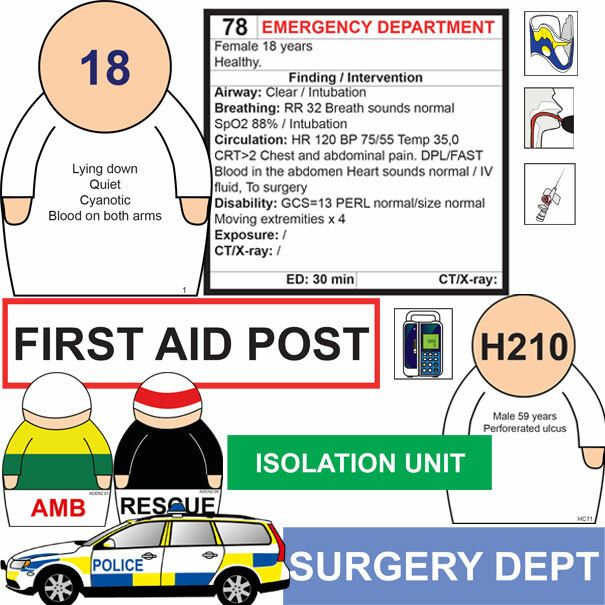 On the front page is information about the treatment(s) the patient is given in the Emergency department and the time it will take. 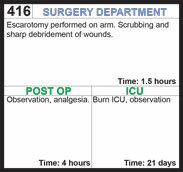 If the patient needs surgery, ICU or Burn ICU this information is provided on the back side of the management card where you also can find time at Post-op. 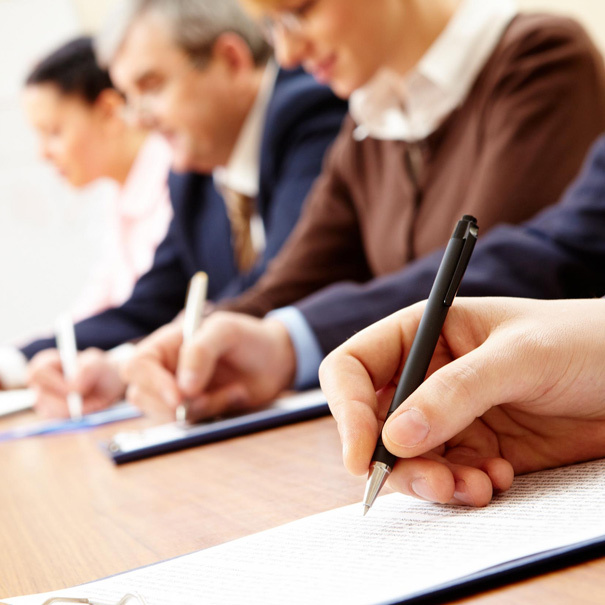 All ETS patients are categorized into different patient outcome categories. Depending on what intervention is made and within what time after the injury, the patient risk preventable complication or preventable death. 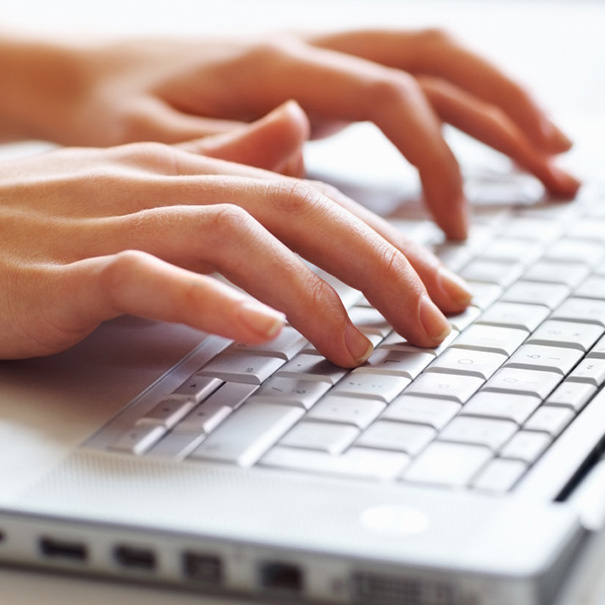 The patient outcome template with outcome for burn injuries, is included in the ETS Burn victim bank. Also included is markings for interventions of sitting position and escarotomy. 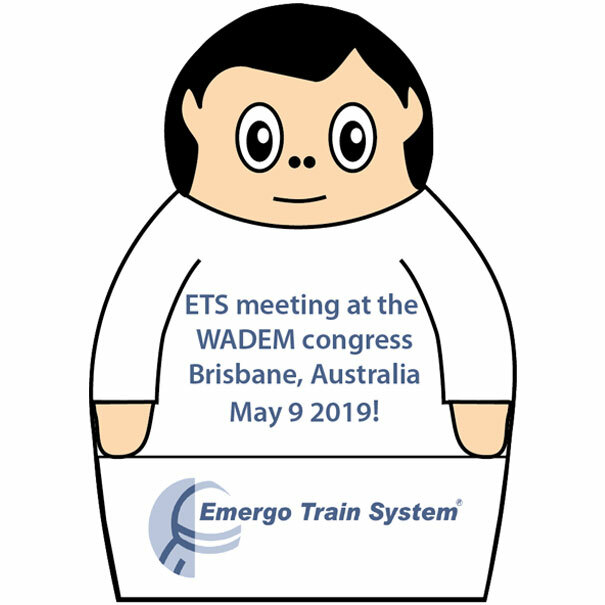 The burn victim bank patient outcome categories have been developed together with experts from national burn centres in Sweden and Western Australia. 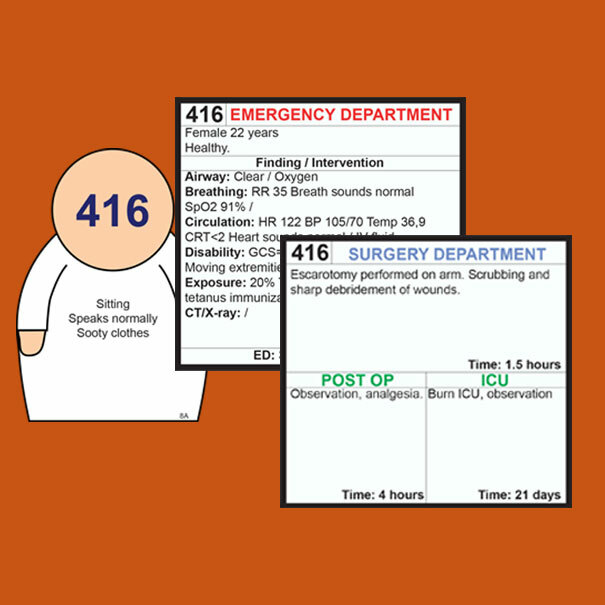 The burn victim bank is available in medium (100 patients/management cards) and small set (50 patients/management cards).